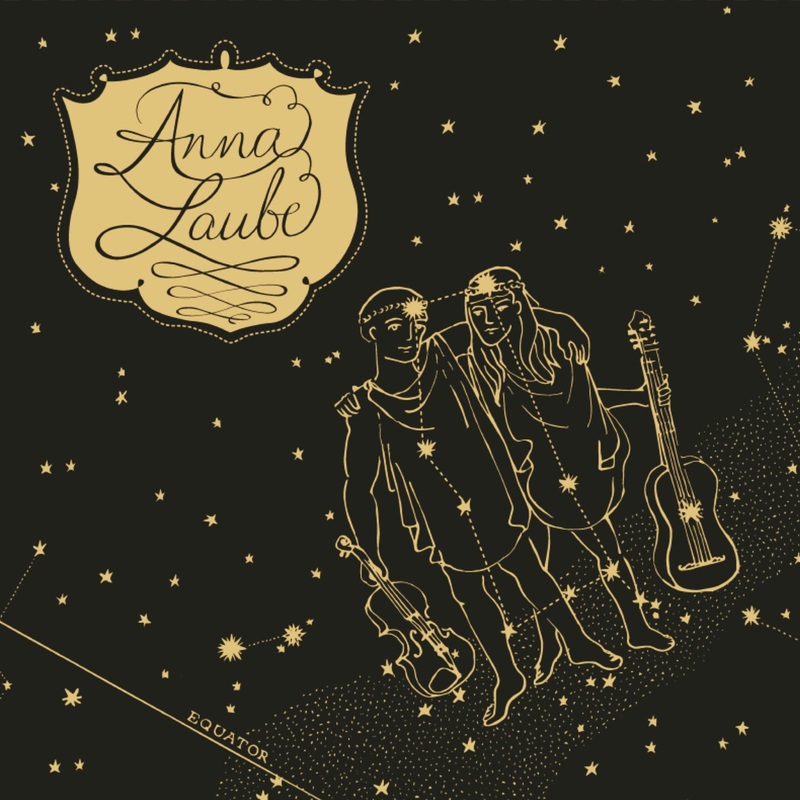 It won’t take long to tune into the musical sentiments of Anna Laube, or to be more precise exactly the 31 minutes running time of her self-titled third album. While not being a vast investment of your valuable time, the rewards are extensive, as a seductive and homely songwriter unravels between your ears with a careful selection of tunes primed in a feast of fundamental folk and lustful Americana. If background information is an integral part of your musical appreciation, the wanderlust status of Anna is clearly stamped all over this record, although her feet appear to be more settled now. What we are left with is a scrumptious album full of songs, one to ten, leaving no stone unturned in that search for integrity-intact appeal. Not averse to seeking a little influence and historical direction, Anna has bravely included a cover of the ever popular standard ‘Satisfied Mind’, but her sweet vocals deliver a pleasing contemporary version, standing as a flag bearer for her own compositions to follow. While on the topic of re-working the classics, the riff of ‘The Bike Song’ is a clear take on Woody Guthrie’s ‘The Car Song’, but if you are going to model yourself as the perpetual travelling troubadour then why not let the master’s work seep into your own. 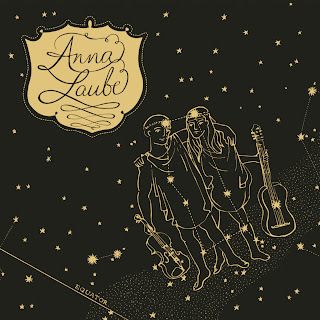 Ten songs, including a cover and a re-work, leave little room for any slack and it is a pleasure to report that the other eight songs of Anna’s are devoid of any filler status. Challenging for that important top spot if your inclination is such, are a couple of tunes blessed with similarly enchanting melodies. The cool, ambling folk of album opener ‘Already There’ drifts across you like that welcome summer breeze and has all the structural appeal of a Slaid Cleaves number suggesting that Anna is a widely listening artist eager to inform her own songs with snippets of the best. ‘Sweet Boy Minnesota’ is a whimsically nostalgic tune which lodges firmly in your mind bank alongside those important moments in life. The musical interludes support this memorable tune that has the potential to extend into those dreaded playlists as defined by folks who live and die by the complete album. Anna’s album is not short on variety as well with her laudable stab at the blues lacing the penultimate track ‘You Ain’t Worth My Time Anymore’. In contrast, a piano-led jazz feel launches the thoughtful and breezy number ‘Sugarcane’ which takes a scornful stance on one of the more hidden drugs of modern life and is an arrangement of the original song ‘Cocaine Blues’. A casual carefree beat accompanies this fine song with a touch of brass and fleeting fiddle adding to the sound package. ‘This One’s for You’ is the closest Anna gets to frequenting country territory with a hint of twang adding atmosphere to a beautiful ballad showcasing her versatility to scan the American style songbook. Earlier in the album, Anna takes a slightly quirky direction in the vibes emanating from the song ‘Chocolate Chip Banana Cupcakes’ which while on the surface acts as the antithesis of ‘Sugarcane’ ultimately dismisses the saccharine consumption for real love. What Anna has done on this album is to crack the code of the perfect sub-three minute song with the final two tracks under consideration, namely the spritely ‘Oh My (Oh Me! Oh Me Oh My) and the peaceful album closer, ‘Green’ adorned with faint organ, meeting this criteria. Lucinda Williams self-titled her third album and while this is not putting too much pressure on Anna Laube, the result of her fruits makes this record a neat fit in your record collection. Anna fully understands how to ultimately make a great concise American roots sounding record and it’s a thoroughly enjoyable listen.